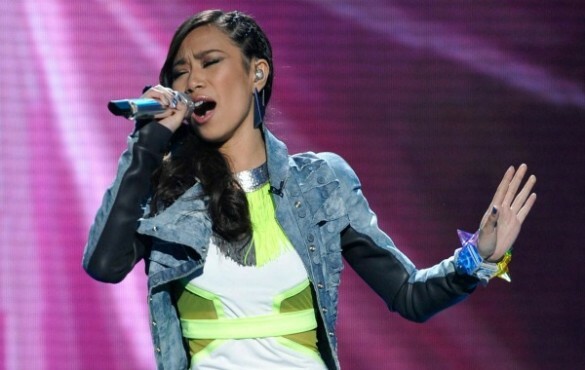 Its nearly time to find out who wins the most coveted title as THE American Idol, and as the world waits with bated breath on who finally snags the title - lets then have a small breather and just bask on everything that is awesome about Jessica Sanchez now shall we? 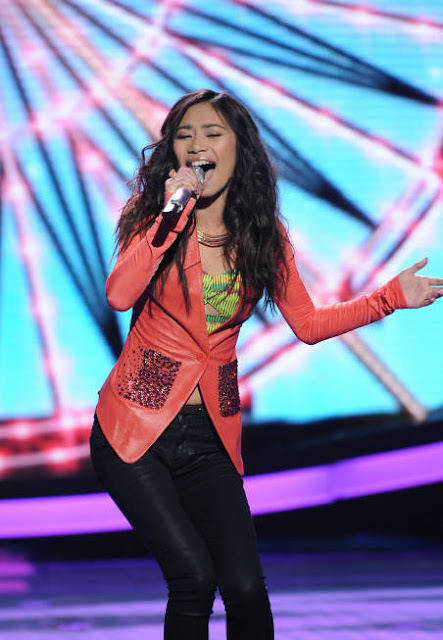 Well obviously, I'm a fan of Jessica Sanchez. That girl has some guts and some talent! Will she win? Well this is my personal opinion, but I think the both of them are great singers. Who wins American Idol means that they have the bigger fan base. So yeah, basically I think it will be the battle of the AI fans. Now what better way to fangirl about our dear Jessica (besides her amazing voice!) then fangirl about her awesome outfits on stage. 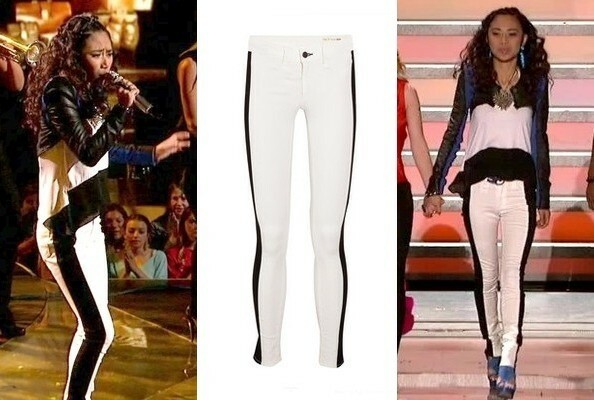 Whenever I watch American Idol, I always end up checking out Jess' outfits coz its truly astounding. Now I know some people think her outfits make her too old. But me, I think she is still trying to look what looks best on her. I love watching Jessica go on stage and sing. I especially love checking out her outfits as she wows people with her voice. My favorite has got to be the latest one.. the white cut-out dress that makes her look cute, young, fresh, and oh so fashion forward! Nice one Jess! What is your favorite Coffeeholics? Now that the stage is all set.. tomorrow will be the last chance for her to win everyone's hearts and votes. 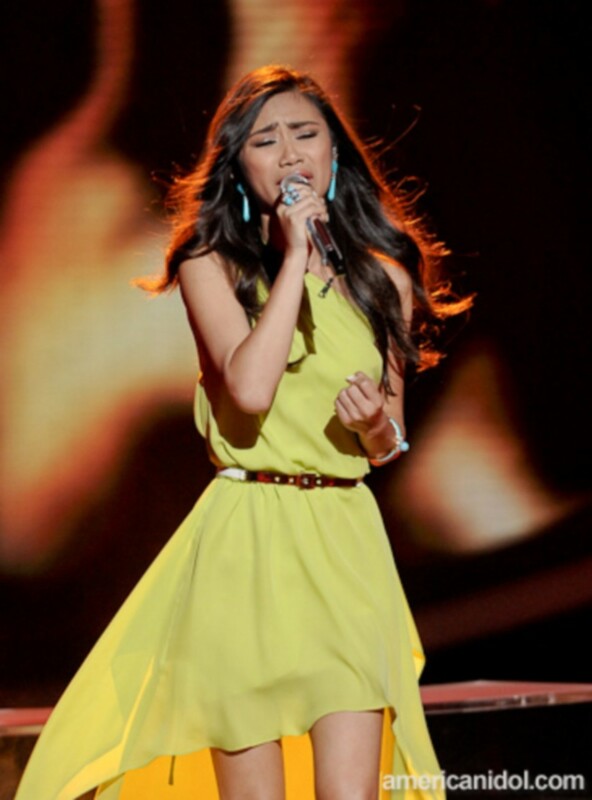 So yeah, please continue to support Jessica and let's all make her the next American Idol!